It is with great sadness that we announce the passing of our mother and grandmother Gwen Bailey, who passed away suddenly on August 18th, 2018 at the age of 84. She was predeceased by her husband, Raymond in 1993; brothers, Douglas, George and Jim and her grandson Kyle Bailey in 2008. Gwen will be sadly missed by her daughters, Linda (Daniel) Folk with grandson, Kevin (Shalynne) Folk and Cherolyn Bailey; son, Robin (Glenda) with granddaughter, Kellyn (Tanner). Gwen was born on August 7th, 1934 to Douglas and Rachael Barlow in Edithweston, England. England was her home until she married and became a military wife. Through her military life she met many friends who she called family. Special friends Flo and Shane Branning were always there for her after Raymond’s passing. Gwen never worked outside the home, but cared for many children over the years. Christine Roy was one of these children she had a special bond with. 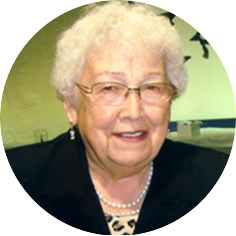 A Funeral Service to honor Gwen will be held on Saturday, September 1st, 2018 at 1:30 PM in Moose Jaw Funeral Home with Pastor Dave Foley officiating. Flowers are gratefully declined. As an expression of sympathy, donations in Gwen’s name may be made to the Children’s Wish Foundation of Canada 3602 Millar Avenue Saskatoon, SK S7P 0B1 in the name of Kyle Bailey.